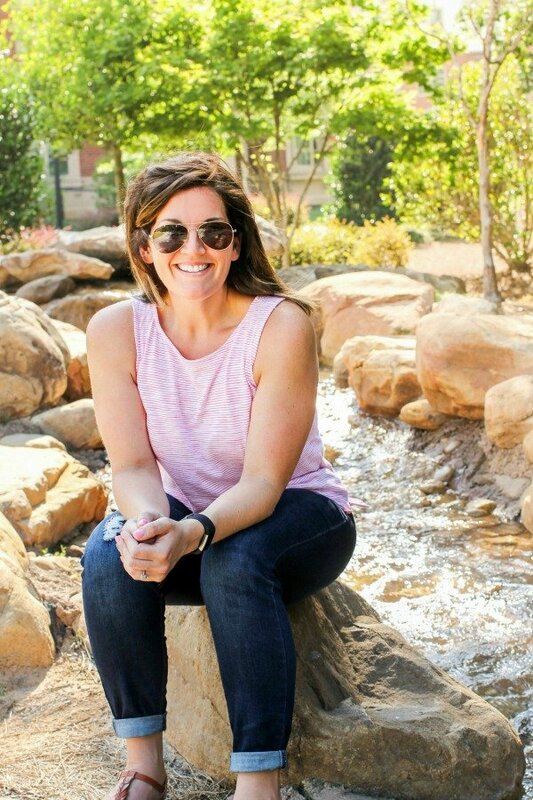 December 9, 2015 By Allyson 4 Comments This post may contain affiliate links. Read my disclosure policy. As most of y’all know, I LOVE one pot or one skillet meals. They are so quick and easy, have minimal cleanup, and are always delicious (well, if you are making my recipes, ha!). 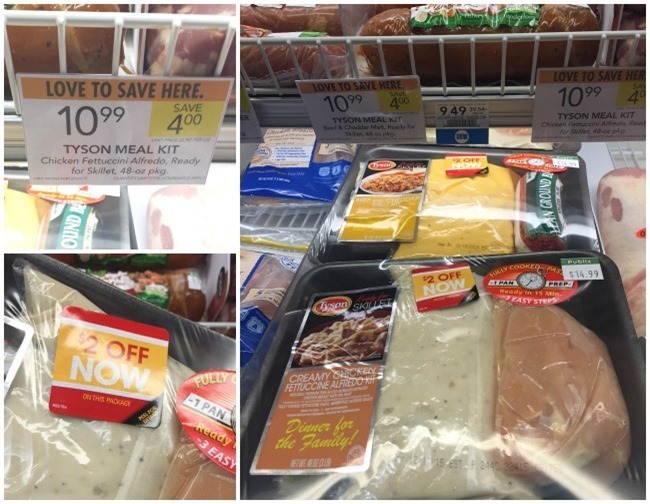 When I heard about Tyson® Meal Kits, I knew I had to share them with you, because they are right up my alley. 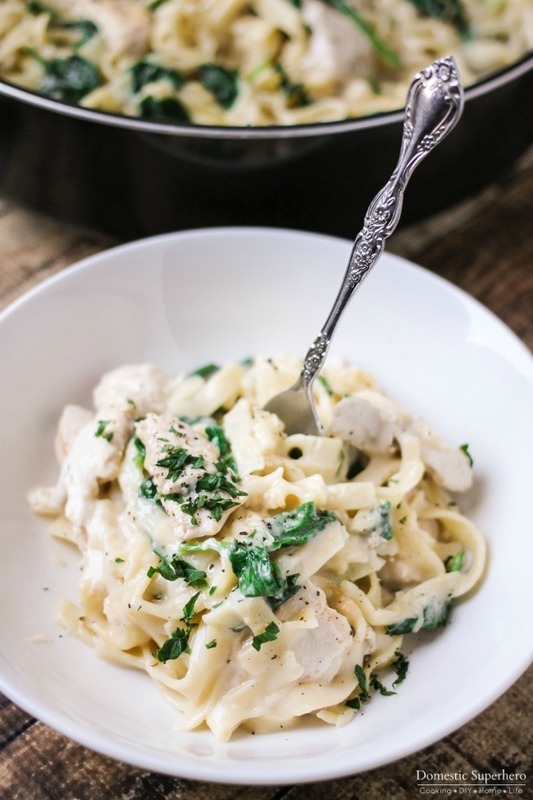 There are several varieties, but when I went to Publix to pick mine up, I knew I wanted to use Tyson® Meal Kits Chicken Fettuccine Alfredo. After seeing all the ingredients, I wanted to add some veggies to it, so I opted for spinach. 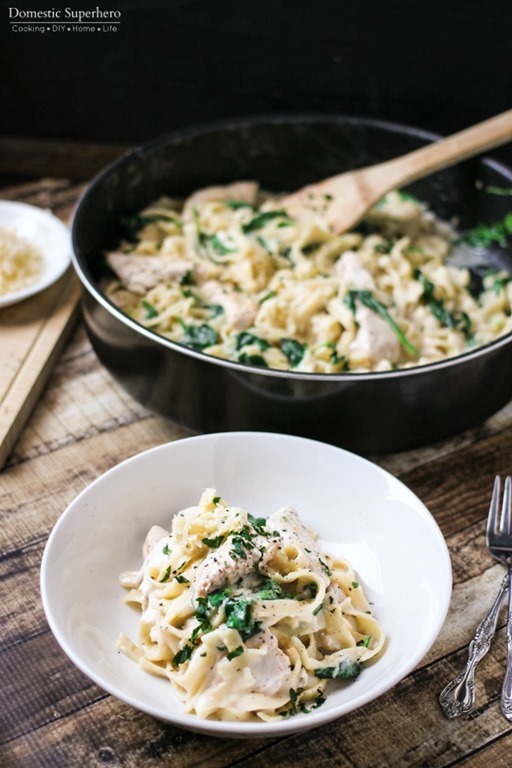 This One Skillet Chicken & Spinach Fettuccine Alfredo is out of this world! The meal kits are really easy to spot at Publix – look in the Ready to Cook section of the Fresh Meat case, and you should see all the varieties. Don’t see them? Ask the butcher, they always know where everything is! Another great thing about these meal kits, is they are currently on sale! That’s right – you can save $2 by using the Instant Redeemable Coupon, which is right on that package (see $2 off now – rip that off and give it to your checkout clerk), and if you hurry to Publix, you can also take advantage of their Promo Price on the product which is $10.99 (promotional price runs 12/3/15-12/9/15). So pair that with the $2 off, and you get this whole meal for $8.99! Total score! Okay, once you get your kit home, it’s time to cook it! With only a handful of steps, these meals make the perfect weekday meal solution. 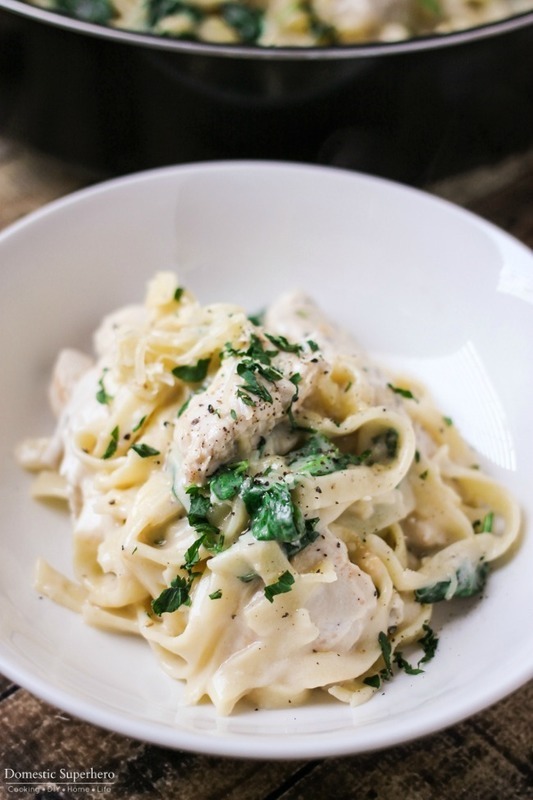 You can have it on the table from start to finish in 20 minutes. So easy! Add your chicken to the pan, sauté it until cooked through, about 5-6 minutes. Then, add your noodles, and use a wooden spoon to break them up. After about 30 seconds of mixing, add 2 handfuls of spinach, and sauté for about a minute, mixing continuously. Then, add your sauce pouch, stir, and cover the skillet. Let simmer for 3-4 minutes, until the spinach is completely wilted. 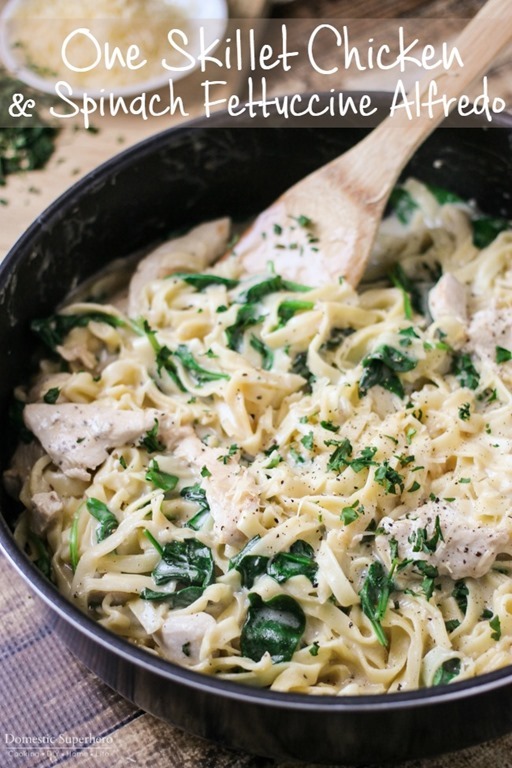 Once it’s done cooking, you can serve it up in a bowl and add parsley and parmesan to the top as a garnish. 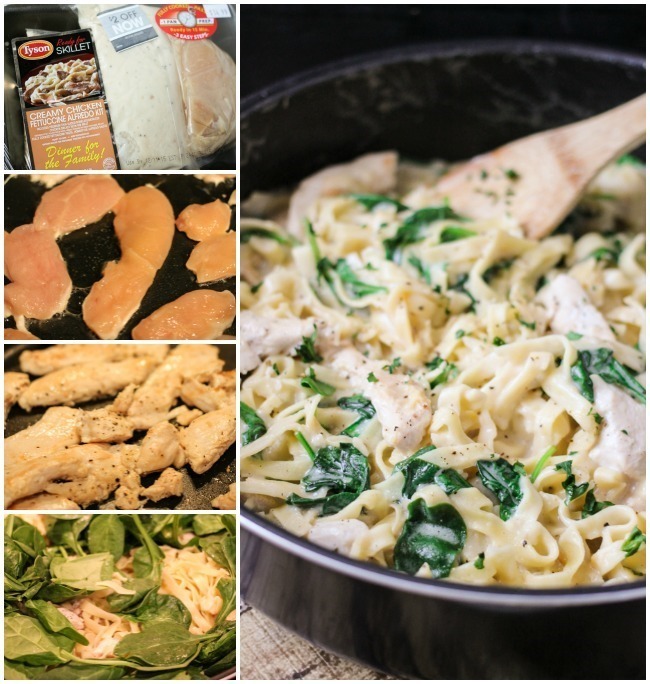 I just love how quickly it comes together, and it’s a meal that the whole family will love. It also makes my after dinner routine much easier, because I have barely any clean up – total win! 1. In a large sided skillet, add chicken and season with salt and pepper. Saute for about 5 minutes, turning in between to cook through both sides. Add noodles from packet, and saute about 1 more minute, until the noodles are broken apart. Add baby spinach and saute for another 2 minutes, allowing the spinach to begin to wilt. Add sauce pouch and 1/3 cup Parmesan cheese, stir to distribute, then cover and simmer for 5-7 minutes, stirring occasionally. 2. Spoon into bowls, top with extra cheese and parsley if desired. Enjoy!